Bhutan is a country with abundant natural and cultural inheritance. Glimpse of Bhutan Tour is a wonderful Bhutan tour package that meanders around Thimpu and Paro, consisting 03 nights and 04 days. 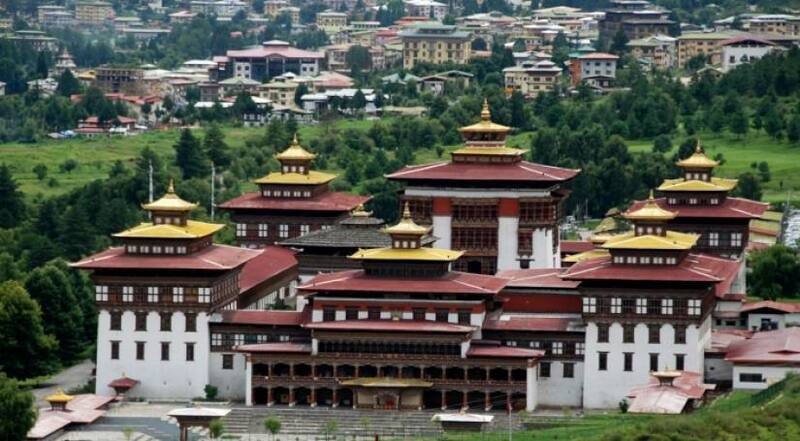 The tour begins with your arrival in Bhutan and takes you to Thimpu. Various monasteries, Dzongs, Chhortens, temples and the natural panoramas that pulls your heart to spend your holidays in Bhutan. Bhutan tour commences from Paro airport and takes you around the historical places and cultural sites as Bhutan is the real introduction to the spiritual prosperity. The mystical valleys of Bhutan resemble the features of the Dragon Kingdom. During the tour, you can experience the real hospitality of Bhutanese, changing landscape and Buddhist culture. Among the incredible visiting sites, you have an opportunity to explore the Ta Dzong Museum, The National Memorial Chorten, National Memorial Chorten, picturesque Paro Valley, the capital city- Thimpu, Textile and Folk Heritage Museum, Kings Memorial Chhortens and other popular places and tourist spots. First the tour directly leads you to Thimpu and again drive back there to view the cultural richness of Bhutan and conclude the tour. Explore the Dragon Kingdom with the special offering of Himalayan Joy Adventure company with a suitable itinerary of Glimpse of Bhutan tour. For more details, feel free to contact us.